MENGO – Express FC Captain Michael Birungi has been handed a four match ban for unsporting conduct. The FUFA competitions disciplinary panel confirmed the developments on Friday morning through a press release. “Case No 0011/UPL/2019, Express FC Captain No. 11 Birungi Michael attacked the match officials at the center of the field of play immediatly after the match, Tooro United vs Express FC on 29/01/2019 at Buhinga Stadium, Fort portal. Actions of Express FC Captain tantamount to a breach of FUFA competition rules. 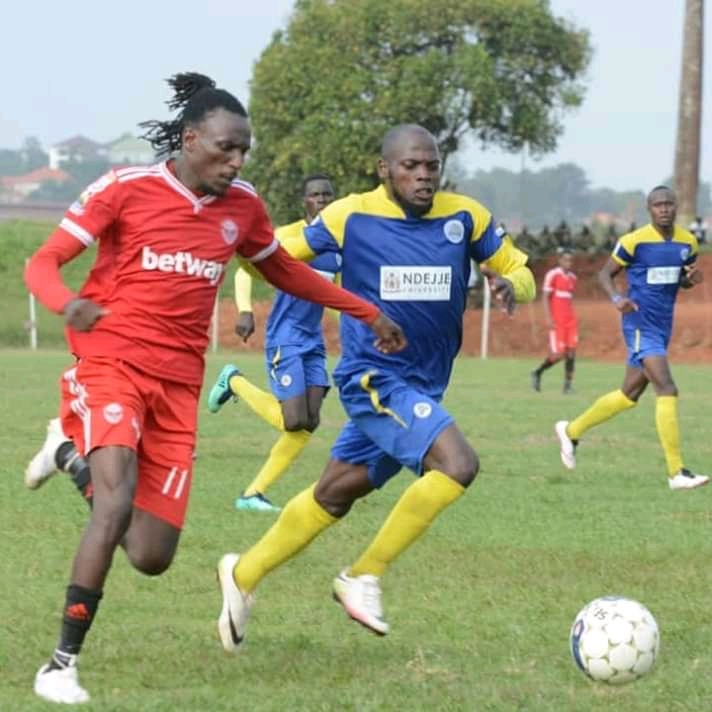 “Express FC Captain Birungi Michael is suspended for four (4) official FUFA competitions match for unsporting conduct towards the Match officials. “He (Birungi) is further seriously warned against repeating the same on Match officials. If Reapeated, serious sanctions will be preferred against him. The said incident occurred during Express FC 1-0 loss away to Tooro United. Birungi is believed to have been expressing his discontent towards the day’s officials led by Centre ref Alex Muhabi. When the game was goalless towards the end, the referee pointed to the spot when he judged Disan Galiwango to have brought down Allan Kayiwa in the forbidden area before Sserunkuma silenced his former masters. That was the fifth loss for Express FC who then slipped to eighth with 21 points from sixteen games. Currently, the Club sit tenth on the 16 team log. This will be a big blow for Express new Coach George Ssemwogerere who will miss the scoring captain. With the club expected to make an appeal, Birungi will miss three league games against BUL, Nyamityobora plus Maroons, and one Uganda Cup Tue against Police FC.